The Associate of Applied Science in Early Childhood Education degree is a 60 credit hour, four semester program. It is designed primarily for preschool workers and P-4 teaching assistants or paraprofessionals who are not seeking admission into a teacher licensure program and coursework is designed to address the birth to age 5 population. 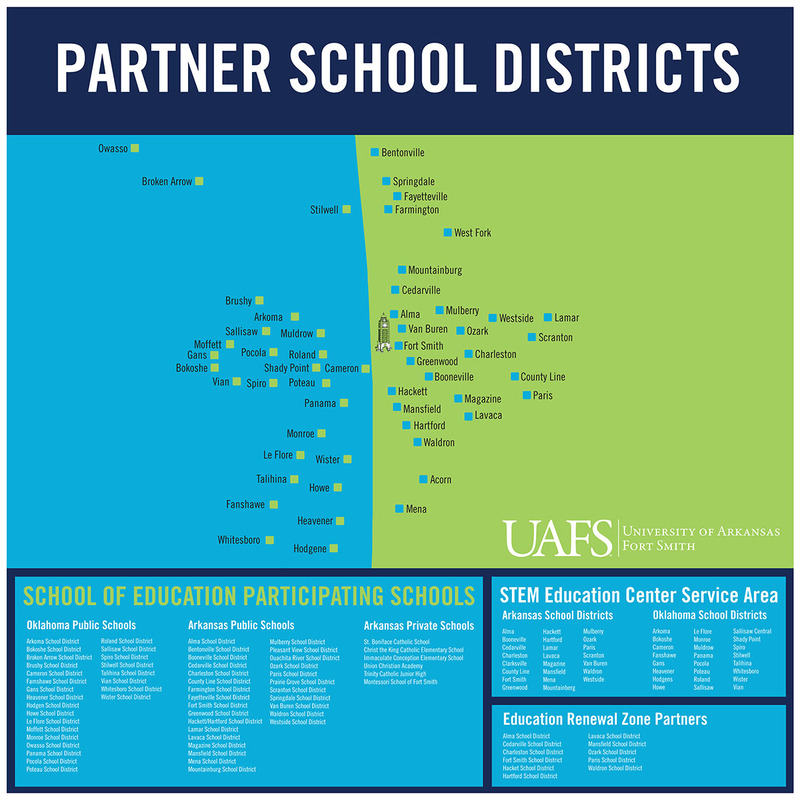 Additionally, students who are successful in completing the degree will meet the educational component of the Arkansas Birth through Prekindergarten Teaching Credential awarded by the Division of Childcare and Early Childhood Education. This department also offers a Certificate of Proficiency, a Technical Certificate and a Pre-K Level Age 3-4 Endorsement for Elementary Education majors. For additional information, contact Kim Tomlinson. Link Kim’s name to kim.tomlinson@uafs.edu. Show understanding of young children’s developmental stages of learning from birth through age eight be creating healthy, respectful, supportive, and challenging learning environments for young children. Demonstrate understanding of diversity in the community and the classroom by engaging families and communities in respectful, reciprocal relationships that foster classroom development. Exhibit understanding of the goals, benefits, and uses of assessment as they work with young children, by using developmentally-appropriate assessment to develop curriculum, to use teaching strategies, and in setting goals for their pre-kindergarten students. Demonstrate understanding if early childhood best practices by creating diverse and differentiated teaching strategies to help young children engage in their learning and diverse developmental stages. Candidates will practice self-reflection to promote to promote positive outcomes in their teaching, and they will use a broad repertoire of developmentally appropriate teaching strategies/learning approaches.